Mom For A Deal: Get a FREE $25 Walgreen's Gift Card! Get a FREE $25 Walgreen's Gift Card! 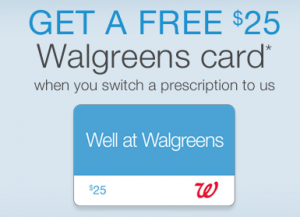 Transfer a prescription to Walgreens and get a $25 gift card!